Cheer Leader has taken over. 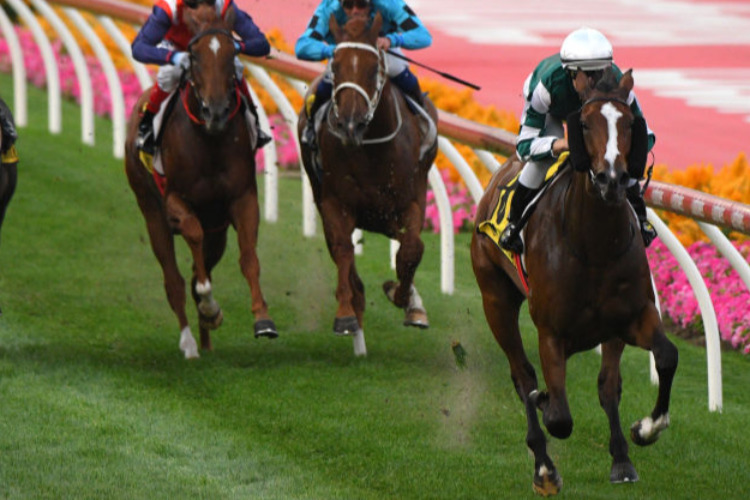 She is now $2.90 in the 2019 Percy Sykes Stakes (1200m) at Randwick on Saturday. *All others quoted at $8 or greater in full market. WHEN IS THE 2019 PERCY SYKES STAKES? Race Synopsis: Having her first start since running sixth in the Golden Slipper Stakes (Gr 1, 1200m) on March 23, Anaheed battled strongly under pressure to record her second Group 2 success in six starts. She began smartly from her outside barrier (10) and worked across to race outside the leader (Cheer Leader) at a solid tempo. She got to the front at the 200m and then fought back gamely to score by the narrowest of margins at the post. Godolphin-raced filly Flit remained at the tail of the ten-horse field, went widest of all on turning for home and came with a strong late bid for (nose) second. Villami settled in fifth place on the rails from her inside barrier (1), got a split to be in a challenging position at the 200m and kept battling on well for third, while the favourite Cheer Leader tired for (3.7 lengths) six after setting a strong tempo. Golden Slipper winner Kiamichi faded after being handy to finish the last of ten (5.9 lengths), appearing to have come to the end of a very successful preparation.